Full of sunshine: Cabo has logged over 300 sunny days. Also, this city is not likely to have tropical storms, hurricanes, or severe weather conditions, which are quite common in Caribbean holiday spots. Easy access: Traveling to the city from the US is quick and simple by sea, including ocean cruises. You can also opt to travel by road, but be aware that you will encounter many army checkpoints. There is no need to worry though because the military personnel will just check your vehicles for illegal items. Other than that, they are friendly and polite. White sandy beaches: Among the many reasons why tourists come back to the city several times a year involve the stunning beaches, such as Medano Beach. It is where you can find the Mango Deck spot, which is famous all around the world for people who love parties. For lovers or the romantic at heart, one of the ideal places to go to is Playa del Amor (Lover’s Beach). You will find rock formations, clear tropical waters, and caves that will surely help make your vacation memorable. Water sports and activities: From taking leisure walks to going jogging and swimming, there is always something for you at Cabo. Solmar Beach is a favorite place for these activities. For water-based fun, you have plenty of choices, including Costa Azul Beach, Bahia Santa Maria, and Playa Palmilla where you can go snorkeling and scuba diving. Aside from the incredible beauty of Cabo San Lucas, it offers comfort and privacy through the hotels and inns all around the area. There are also Cabo San Lucas private yachts that you can rent for an exceptional and magical experience. The city is also the preferred destination for people who love to go fishing. 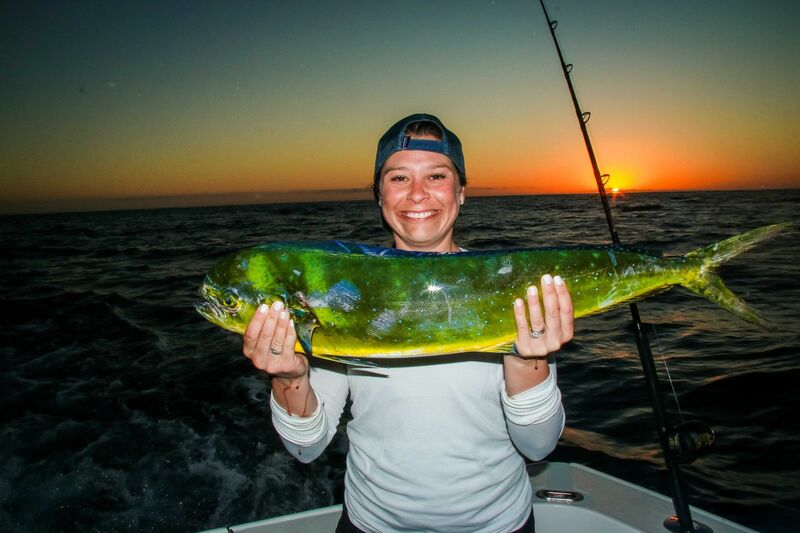 If you are looking forward to Cabo San Lucas deep sea fishing, you will not be disappointed. The coastal resort offers the visitors with some of the finest offshore fishing across the world. 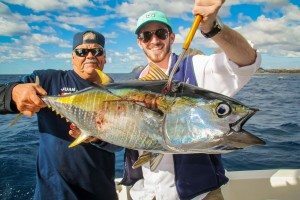 There is an excellent array of fish, especially fighting sportfish that you can discover with the help of Cabo San Lucas Fishing. Here at Cabo San Lucas Fishing, we take pride in our modern facilities that will deliver you with a great fishing experience that only the city can offer. The sportfish can easily be spotted because of the short distance from our location where an extensive fleet of vessels for fishing are moored. 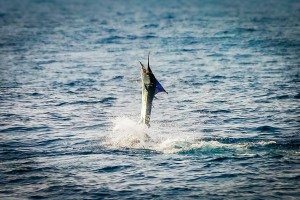 Hook some huge fish that will make your vacation even more exciting, including striped marlin, blue or black marlin, dorado (or sometimes known as dolphin fish, or mahi-mahi), swordfish, sailfish, and albacore tuna. You will also find some other varieties, including sharks, yellowfin tuna, bluefin tuna, yellowtail, and wahoo. All these types are brilliant in giving you the best out of Cabo San Lucas deep sea fishing. 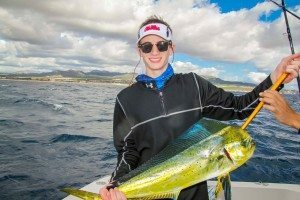 Meanwhile, if you want to try some light tackle fishing, you can also find a wide selection of game fish, which include jacks like jack crevalle, pompanos, grouper, roosterfish, and snappers. 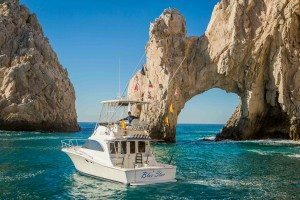 When you are not enjoying fishing, snorkeling, or other water adventure, we encourage you to try more of our services, such as the opportunity to rent luxury Cabo San Lucas private yachts or enjoy our sunset cruise. These two services are different but both aim to please you and make sure you are comfortable during the whole trip. With our private yachts, we provide tailored experiences that will meet your needs and desires. As it is private, you do not have to wait for your turn to get access to fishing or any water sport you would like to try. There are also various activities for your enjoyment, and we have our professional staff waiting to serve you at all times. Blue Marlin: This 31-foot Intrepid Express boat has posh amenities while making sure you have a solid and efficient experience. 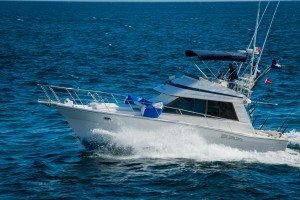 Blue Star: For a slightly bigger yacht, the 32-foot Luhrs has an attractive design with a big cockpit made primarily for fishing. Blue Sky: This boat is considered a cruising yacht and is an excellent choice for those who want to go fishing while on the waters. It is a combination of an express cruiser, a convertible, and a sedan – all in this appealing 43-foot Riviera boat. Blue Sea: For those searching for the ultimate private yacht rental experience, nothing gets better than the biggest out of the bunch of choices. The 60-foot Bertram boat has everything you need from a full-time crew to amenities that will make you feel at home. Meanwhile, if you want to relax on land, we have some specials just for you. Our condos and vacation rentals will give you the maximum comfort to ensure you have a relaxing vacation in the city. Choose from a two-bedroom condo or a three-bedroom rental that can accommodate up to 10 people. Both come with amenities and features that are just right for your budget. Cabo is in an extensive mass of land that stretches almost 800 miles, which makes the Pacific Ocean distinct from the Sea of Cortez. 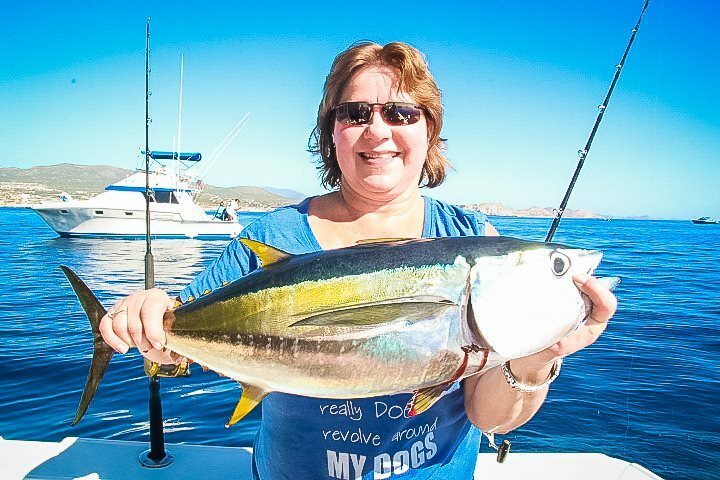 At Cabo San Lucas Fishing, it is our mission to give you the vacation experience you have been dreaming of. Contact us today to book your trip or get more information on our world-class fishing charters, rentals, pricing, and exciting offers. Commonly referred to as simply “Cabo” in English-speaking territories, Cabo San Lucas continues to beam proudly as a resort city at the southern tip of the Baja California Peninsula in the Mexican state of Baja California Sur. Together with San Jose del Cabo, Cabo San Lucas is known as “Los Cabos,” the two regions forming a metropolitan area of some 305,983 inhabitants, and has been rated as one of Mexico’s top five tourist destinations. But what truly enables this lush, sun-kissed area to stand out are the myriad of beaches, scuba diving locations, balnearios, the El Arco de Cabo San Lucas sea arch and marine life – and included in all of this is the famed fishing scene here, what with the abundance of rays, sharks, mahi-mahi and striped marlin. Into this foray has come Cabo San Lucas Fishing, offering an adventure sport fishermen and others won’t soon forget, boasting a multitude of modern boats with the latest fishing technologies and superior fishing tackle to make it easy for spectators to enjoy an exclusive fishing expedition in Cabo San Lucas. 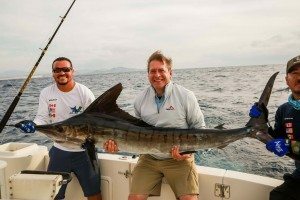 What makes Cabo San Lucas Fishing the number one fishing charter in Los Cabos, based on over 2,000 glowing and positive TripAdvisor reviews? 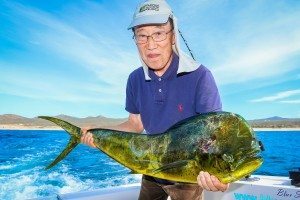 To answer this question in its entirety, we must first explore the genesis of this respected company and its unwavering quest to be the top rated fishing charter in Cabo San Lucas. 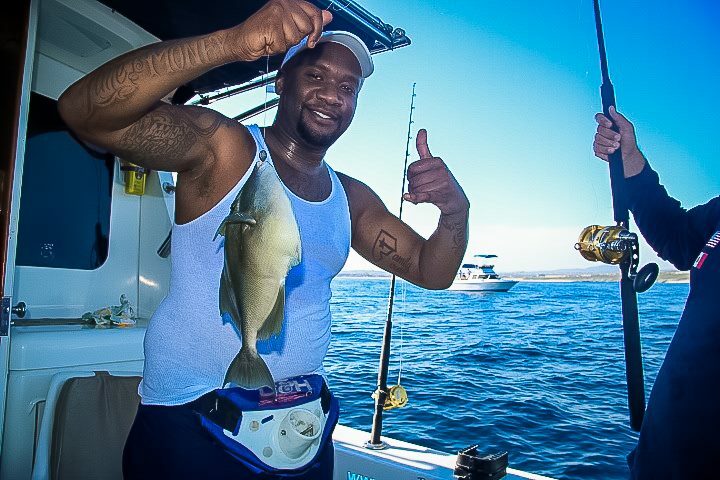 From service and pride in customer satisfaction to professional captains and staff that exude top-notch quality in everything they do, Cabo San Lucas Fishing isn’t your ordinary fishing charter provider. Experienced fishing enthusiasts will be enthralled with our selection of yachts, beginning with a Blue Marlin 31-foot Intrepid Express and going up to include a Blue Star 32-foot Luhrs, Blue Water 35-foot Riviera, Blue Sky 43-foot Riviera and a jaw-dropping Blue Sea 60-foot Bertram. Where the Sea of Cortes meets the Pacific Ocean awaits a plethora of marlin, swordfish, wahoo, snapper, yellowtail, dorado, cabrilla, corvina, roosterfish and more, with 12,000 of these creatures of the deep caught every year in this area. 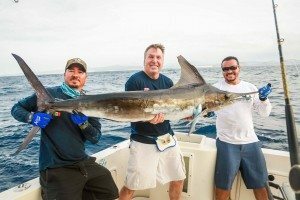 What’s more, Cabo San Lucas boasts the highest-paying marlin tournament in the world – so whether it’s a bikini-clad afternoon out with the girls or a guys’ testosterone-fueled bonding moment, Cabo San Lucas Fishing charters can’t be beat. 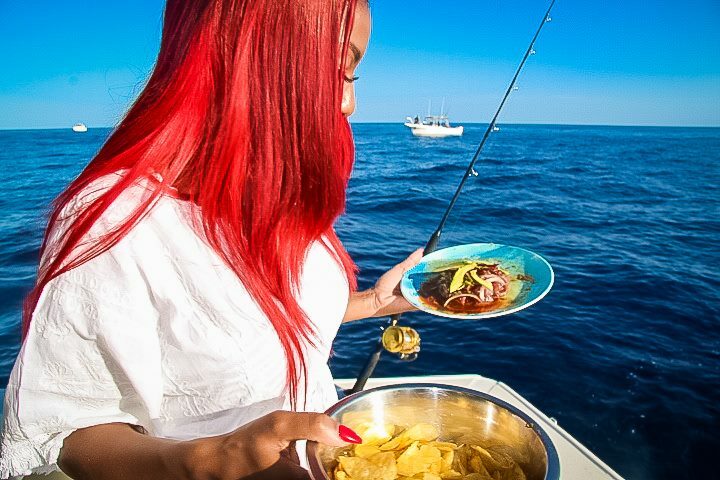 It’s often said hundreds and thousands of positive reviews simply can’t be wrong – and that’s a vivid understatement when it comes to the feedback we’ve received regarding our fishing charters. One of the things we keep hearing over and over again is how our service exceeded customers’ expectations, whether they picked the Shared Sunset Cruise on the Blue Sky 43-foot Riviera or the Dinner Cruise on the 60-footer. Our crew received constant praise for its unfaltering attention to detail and assistance in every conceivable way, as well as the fashion in which they went above and beyond by calling guests’ attention to a majestic sea lion on the deck and other eye-opening occurrences. 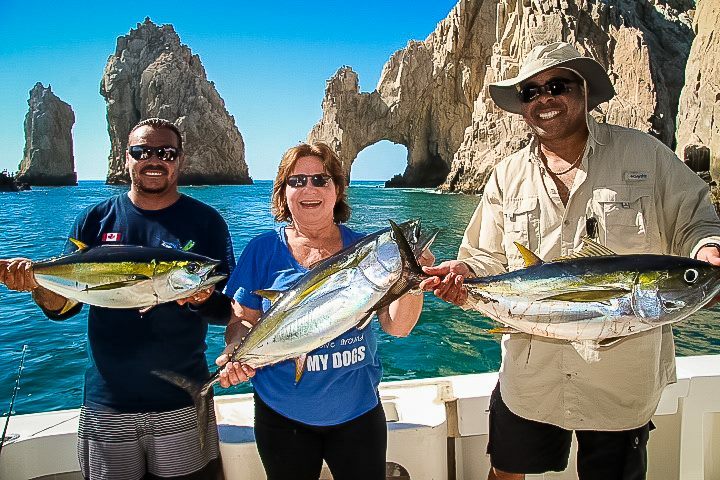 Cabo San Lucas Fishing reviews were also enthusiastic about the way in which our boats were able to accommodate multiple couples in addition to the crew, describing “outstanding experiences” that left them feeling comfortable – even with motion sickness, as a number of them suffered from. Some feedback even included customers describing the experience on our charters as being akin to “feeling like the rich and famous” for an afternoon, as they sat on the sun-drenched deck of the yacht. 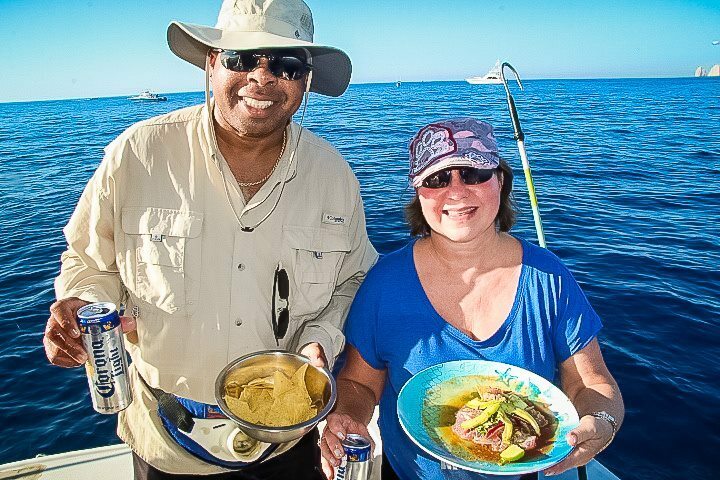 At the core of the personal Cabo San Lucas Fishing testimonials we regularly receive is the notion that we are a top-notch company that goes above and beyond to make sure all guests are happy and satisfied. To this point, we often hear from people that have never written a review before but who felt compelled to tell us about the excellent service they received, or the whales they caught a glimpse of, the 100-foot marlin they caught and more. 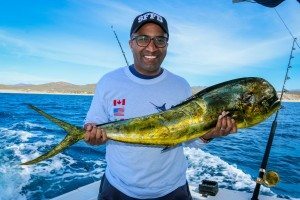 Whether it’s glimpses of beautiful whales surfacing in the near distance, catching 100-foot marlins or 102-foot sailfish or chilling out with Pancho the sea lion, the fishing experience with Cabo San Lucas Fishing drips with quality. We offer fishing charters for the first-time fisherman, family outings and serious tournament fishermen, and from the very first phone call, owner Jim Korchinski will inquire about what type of charter trip is best for the customer, providing everyone a map to our DOCK F location near Lorenzillos and a cell phone call to the hotel confirming the charter one day prior. We also offer snorkeling packages that take patrons to gorgeous Santa Maria and Chileno Bay. 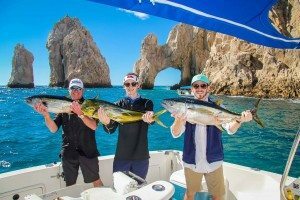 When a fishing charter is booked with Cabo San Lucas Fishing, we ensure the best possible trip to fit every need is crafted from scratch, and this includes making privacy and comfort priorities by way of the safest and most up-to-date boats and the most intimate-yet-enthralling cabins. Further, our 43-foot Riviera fishing yacht is considered very rare for Cabo, boasting air-conditioning and four separate social areas with room for 15 passengers. New paint on the transom and bottom, combined with two new rebuilt engines and a new upholstered salon, on select boats means an unparalleled charter foray. Sunset Cruise – Available on the 32-foot Luhrs, 35-foot Riviera, 43-foot Riviera and 60-foot Bertram, this package includes pizza flavors, open bar and complementary photography, and runs from $400 for two hours (up to six people) to $1,000 for two hours (up to 24 people). Snorkeling – Excursions to beautiful Santa Maria and Chileno Bay. 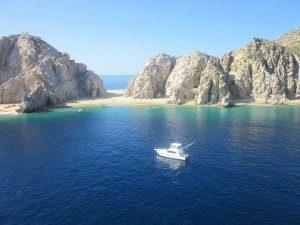 Party Boat – Designed to bring out the barely-there bikini-wearing types, we offer a promotional discounted rate to float and party or snorkel near the Cabo San Lucas Marina, around Pelican Rock and Mango Deck. Prices start at $350 for three hours (up to six party-goers) on the 32-foot Luhrs. Pancho Tour – Spend some time with our grand representative Pancho the sea lion, with prices that include complimentary photography and an open bar; the one-hour Arch and Pancho Tour charter begins at $275 for four people on a 31-foot Saltshaker and goes up to $500 for 10 people on the 60-foot Bertram. Cabo Condo Rentals – In this package, we make available a downtown two-bedroom condo to rent from $150 to $300 per night, including a free Cavalier convertible and free shared Sunset Cruise each Wednesday and television, Wi-Fi and gated/secured access. Cabo Vacation Rental – This stunning property comes with three bedrooms and four baths, and sleeps 10 with steam shower, propane barbecue, outdoor big-screen TV, patio cabana, community pool and much more. For a seven day rental, the rate is $1450 to $1800 per week. 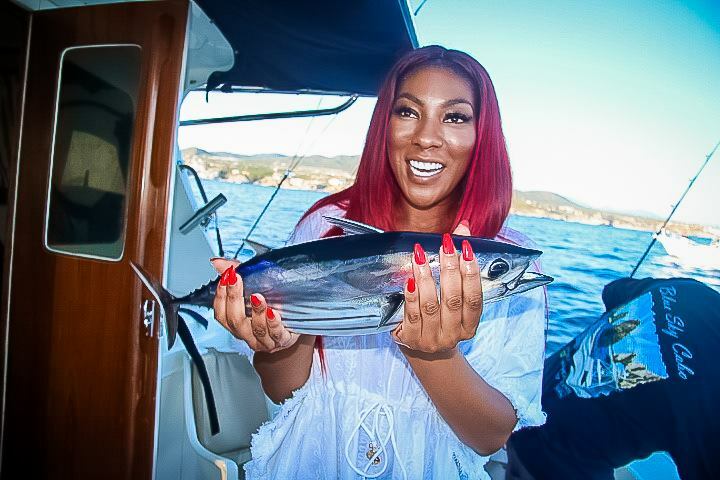 Get more details on pricing, availability and why we’re the top rated fishing charter in Cabo San Lucas by contacting Cabo San Lucas Fishing today. If you have any questions at all, it will be our pleasure to assist you! We look forward to seeing you soon in sunny Cabo San Lucas! Early morning catch on our 32′ yacht Blue Star. On Dec 17th ~Team Denison headed out on our 43′ yacht Blue Sky.Bring in 2 Tuna, 1 Dorado and 1 Barrilete…made for a nice evening meal. 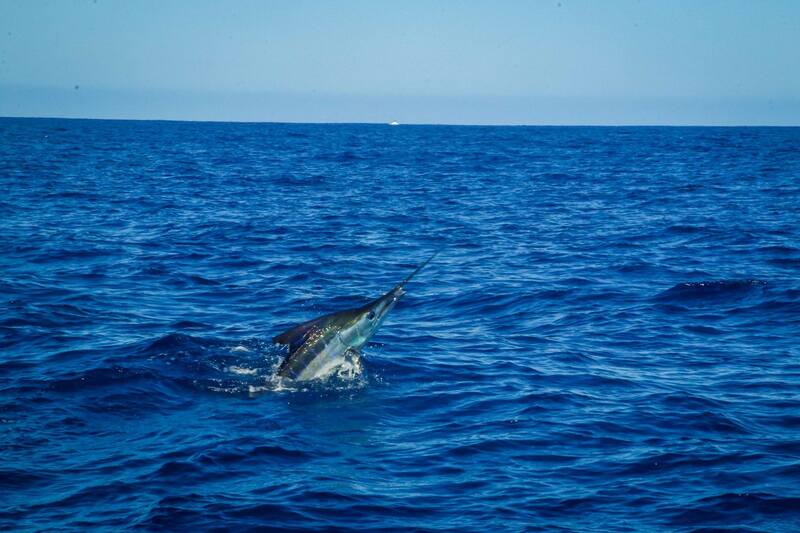 On Dec 2nd ~Team Puerto Vallarta~ Landed 3 Beauties,made it a Fantastic day with Blue Sky Cabo. We support Marlin catch and release. Nov 28th, Team Tuna headed out aboard our 32′ Yacht Blue Star. With guidance from Captain Juan and Crew, they were able to bring in a Fantastic Lunch! Nov 27th ~Team Houston~ headed out aboard our 32′ Yacht Blue Star. With guidance from Captain Juan and Crew, ended up with a fresh Tuna lunch! This group was aboard our 32 yacht Blue Star. Bringing in 2 Dorado and 1 Marlin!